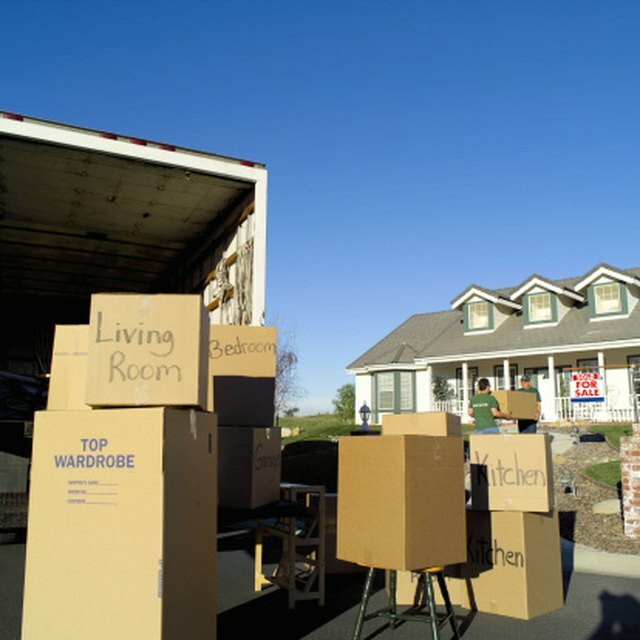 Among other considerations, determine the type of moving company you want to establish. For instance, your company can focus on residential consumers or commercial moving of items such as furniture, supplies, or even office files. You should strive to develop a niche or speciality, such as experience with fragile items or 24-hour movers, to distinguish your business from competitors. Moving companies have existed for many years in the United States, as family-operated businesses, franchises and corporations. For example, in 1928, United Van Lines began transporting belongings to different cities. Mayflower Transit Company was established in 1927 so that customers did not have to rely on railroads. Research state and local regulations for moving companies, which you must comply with to obtain a license and operate legally. For example, find out whether your drivers must have commercial driver's licenses. If you are caught operating a moving company without a license, you will be penalized--in Florida, you risk a fine of $5,000 plus a cease-and-desist order. If you want to offer moving services across state borders, such as from Arizona to California, you must get a U.S. Department of Transportation license. Contact different companies and compare insurance rates on cargo liability plus motor vehicle coverage so that the moving company is bonded and insured. For example, if you break an expensive item, the insurance company will reimburse your clients so that your company does not have to personally deduct the cost. In many states, moving companies must provide evidence of valid coverage to receive a business license. How Much Does a Tow Business Profit? Decide whether you will purchase or lease equipment. You likely will need at least one truck, either a van, tractor trailer or straight truck, along with large amounts of rope, dollies, blankets, bubble wrap, boxes, moving pads and work gloves. Evaluate staffing needs. A one-person moving company is unrealistic, but you might expand slowly by starting with at least two people and adding staff as needed. Always run background checks, especially to uncover criminal records. Develop a marketing strategy that informs the public about the company’s services. For example, develop a professional website that describes your main services--such as if you will pack items at an additional rate or drive long distances out of state. The website should help distinguish your company from scam artists, such as people who give lowball estimates and disappear after loading the truck. Visit movingscam.com (see Resources) so that you can establish appropriate customer service skills and prevent your company from receiving unjustified criticism. Professional company uniforms and marked trucks also will promote your company by adding authenticity. Explore other ways to market your moving company besides purchasing an ad in a phone directory or newspaper, which can be very expensive for a start-up business. Order business cards and distribute throughout your target neighborhood. Contact local apartment complexes, real estate agents, and furniture stores to establish rapport and ideally generate referrals. Consider running promotions for which you offer a referral fee or gift cards for new customer. Establish an accounts receivable system so that you receive timely payment. Decide if you will ask for deposits before you start moving items. Also determine if you will give estimates, which can be binding (meaning that you cannot exceed your quoted price) or non-binding (that provides a relative but not an exact price). You must create and use business forms and contracts--avoid relying on verbal agreements. For example, if the agreed price was $500, but the customer refuses to pay, your written contract can be submitted as evidence in court when you sue for breach of contract.